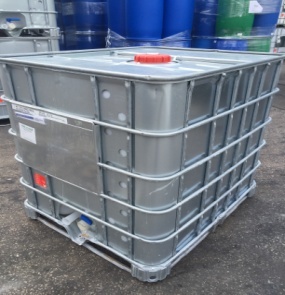 Standard 1000ltr IBC with a metal pallet. New from manufacture. 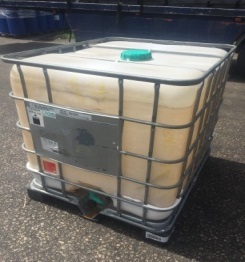 Standard 1000ltr IBC with a plastic pallet. New from manufacture. 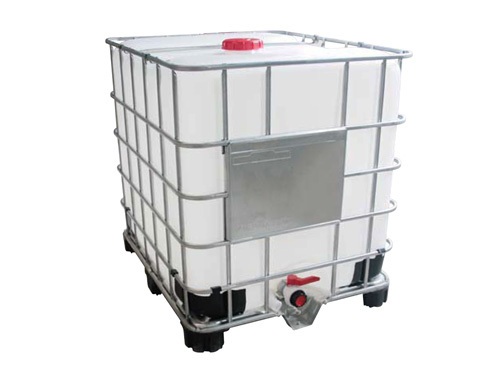 Standard 1000ltr IBC with a metal or plastic pallet. Reconditioned to UN standard. SX metal cladded 1000ltr IBC with a metal pallet. Reconditioned to UN standard. 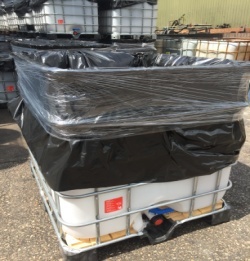 Standard 1000ltr IBC with mixed pallet style and slight stain and odour. Reconditioned to UN standard. 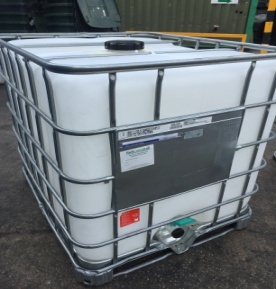 Standard 1000ltr IBC with a cut open top, lined with a thick industrial bag ideal for waste. Reconditioned standard. 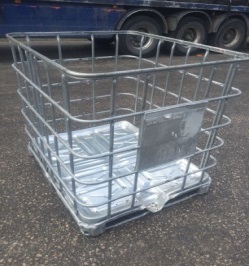 Standard 1000ltr IBC outer cage with varying pallet options. 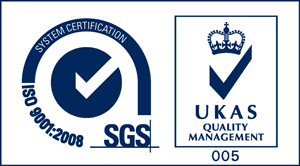 Reconditioned standard.